Hair loss is one of the strongest fears for men and women in certain age. International institute research has shown that men aged 25-29 are more worried with losing their hairs with other age-related predictabilities like skin aging; 45% of men and women have experienced hair loss in the UAE, water is reason behind the hair fall is the salted chlorine tap water, Aqua Care RO Anti Hair fall Shower Purifier can be considered as one of the most effective hair loss treatment methods today. Use Aqua Care RO Anti hair fall Shower filter to protect your hair, control hair fall and protect your skin Aqua Care RO pure shower water filter is advance technique help you to stop your hair fall and dandruff controller; shower helps to removes chlorine and other chemicals from the water up-to 99% from shower water and stops hair loss, skin allergies. 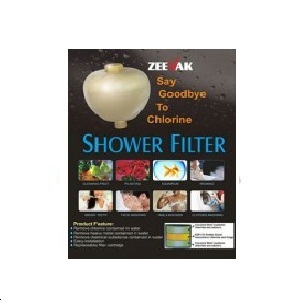 Aqua Care RO anti hair fall shower filter best hair treatment. Aqua Care RO always try to improve this filter to works very well on keeping chlorine and other harmful chemicals out of your water. Aqua Care one of the Best Water Filter Suppliers in United Arab Emirates, our best products and services is Appreciated by our Happy Customers.